Nathan McDonnell (back left) and Mary O’Sullivan (back right) of Ballyseedy Home and Garden, with Rachel Fitzgerald, Chairperson of Down Syndrome Kerry and other members of the group at the presentation of a cheque to Down Syndrome Kerry on Friday. 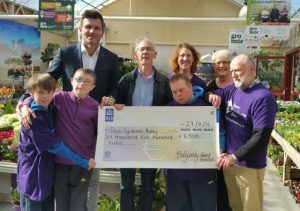 A TERRIFIC two days of family fun last month at Ballyseedy Home and Garden Centre has raised a whopping €6,500 for Down Syndrome Kerry. 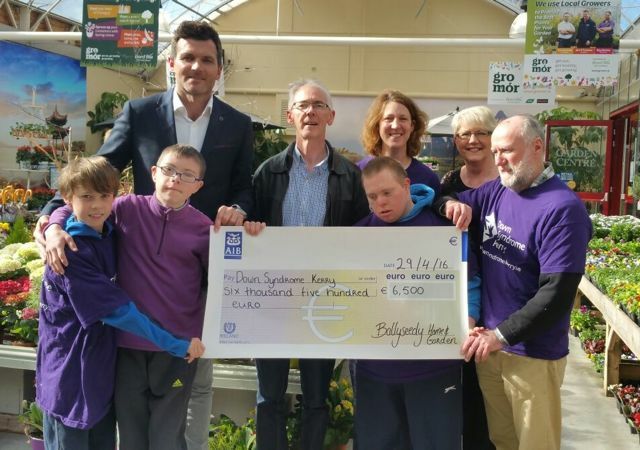 On Friday, Rachel Fitzgerald, Chairperson of Down Syndrome Kerry, visited the business to pick up the cheque from Nathan McDonnell of Ballyseedy Home and Garden. 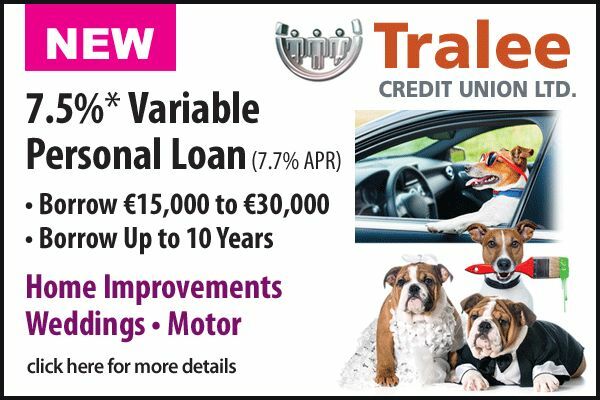 The money was raised over a two day Family Fun Weekend held on April 16th and 17th. 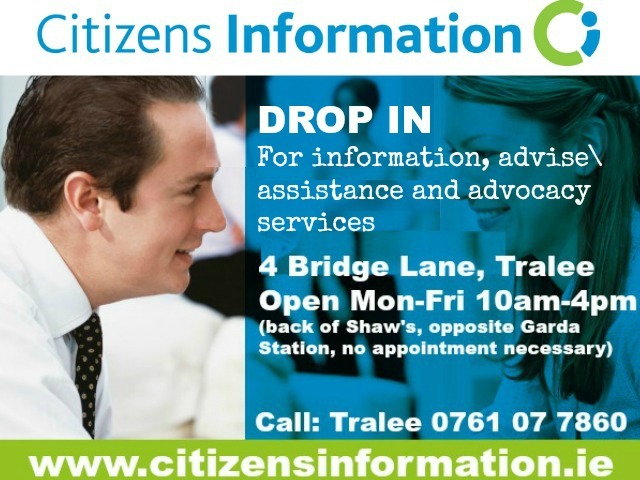 The weekend’s success was due in no small way to the support of local Kerry business people and suppliers of Ballyseedy who sponsored the many free activities over the weekend. Ballyseedy Home and Gardens and Down Syndrome Kerry are most grateful to the hundreds of people who turned out to enjoy the sunshine, take part in the activities and raise valuable funds for Down Syndrome Kerry.